As I have said before, I don’t make New Year’s resolutions. I do, however, follow certain mantras and this one is at the top of my list for 2018. I have let undue stress affect my health and well-being far too many, very unnecessary, times. Thankfully, I have mastered a few techniques to bring myself back to a relaxed state of mind before I become a victim of a rapid pulse and high blood pressure. Recently, I have also been using essential oils and find them very calming. The key to dealing with stress is to figure out the trigger points and avoid those situations entirely. Much easier said than done for most, myself included, but I have spent a great deal of time pinpointing the worst of my stressful situations and learning how to gracefully excuse myself from those circumstances. It may not be possible all the time, but at least I am aware of the biggest triggers of my stress and can make better choices for the sake of my health. I may be trying to achieve the impossible, but at least if I remain aware of how much stress affects my body, I can enjoy a very happy and healthy 2018. I love the lavender oil as well. I started to take Valerian Root as well. It’s an herbal supplement to promote relaxation at bedtime. I once tried Melatonin and dreamed about snakes all night. Yikes! So far, the Valerian Root has really helped me to sleep more sound. Although some days I feel like doing that very thing, I’ll be sure to keep your sage advice in mind. I like the idea of having a “mantra” to carry with you throughout the year. I hope it guides you to that happier, less stressed year! Thank you. I hope so as well. 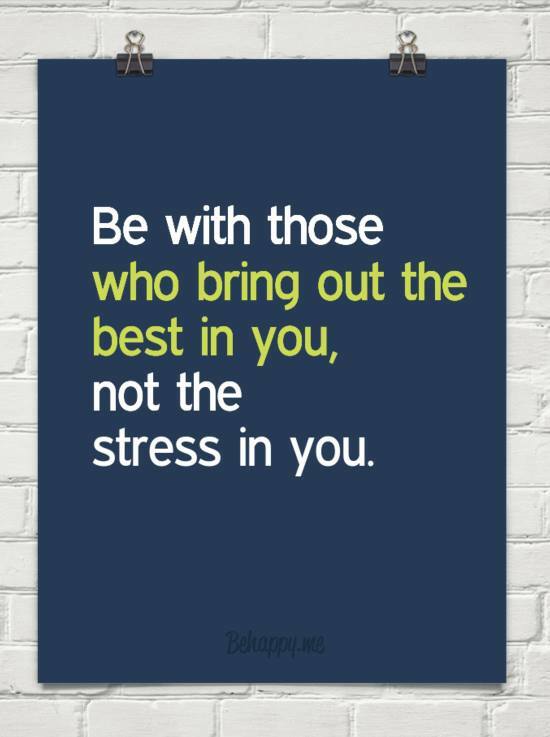 I like this, it’s got me more thinking about people that make me stressed. I have several of those as well.